The Garda design is contemporary and strong, with its warm coffee-colour shades. The design is based on distinctive colours with a striking hint of contrast. These Embossed Double Wall paper cups have been developed to optimise the stack height, with compact case sizes making for efficient use of storage space, this represents a key advantage for wholesale paper cups. The Embossed Double Wall paper cups outer wall gives the paper cup improved rigidity. 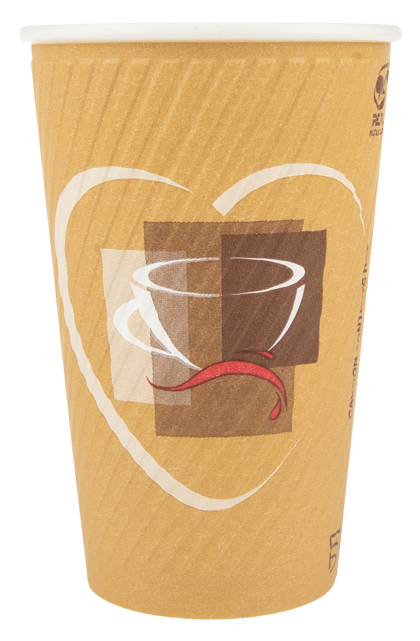 Paper cup printing is available on the Embossed Double Wall in up to 8 colours using environmentally-considerate water-based inks. 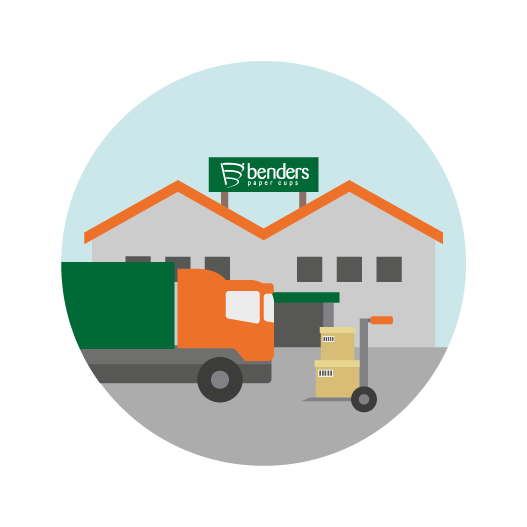 The base is printed with Benders’ traceability code so the paper cup can be traced back throughout the manufacturing process, and subsequently to the forest it originated from. 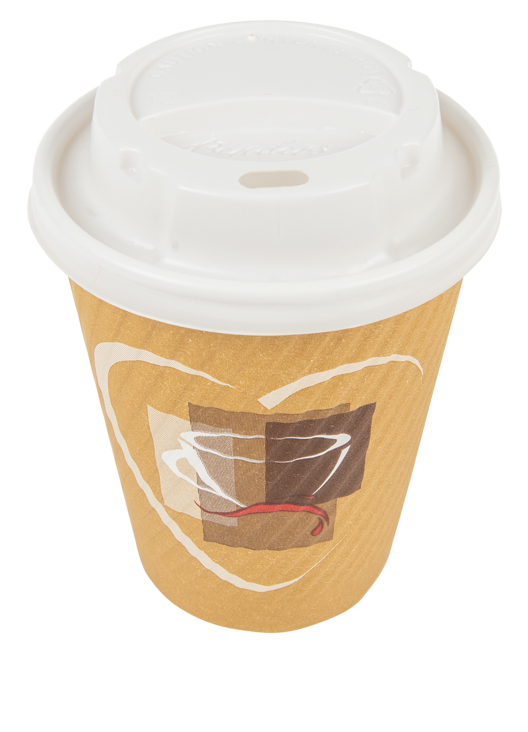 There is a range of paper cup lids available specifically made to fit these paper cups. Benders’ Embossed Double Wall paper cups, offer multiple benefits, unique in style and hot on performance. The elegant ‘swirl’ emboss makes these double wall paper cups easy to hold, supports stunning print, and facilitates easy separation of the paper cups from the stick. Tightly rolled rim to optimise side wall rigidity. Made from PEFC accredited, sustainably sourced paperboard. The outer ‘Double Wall’ has a unique ‘swirl’ emboss, which allows a gradual warming of the fingers so that the consumer is aware of the heat of their hot beverage. Full height printing is available in up to six colours, in environmentally considerate water-based inks.